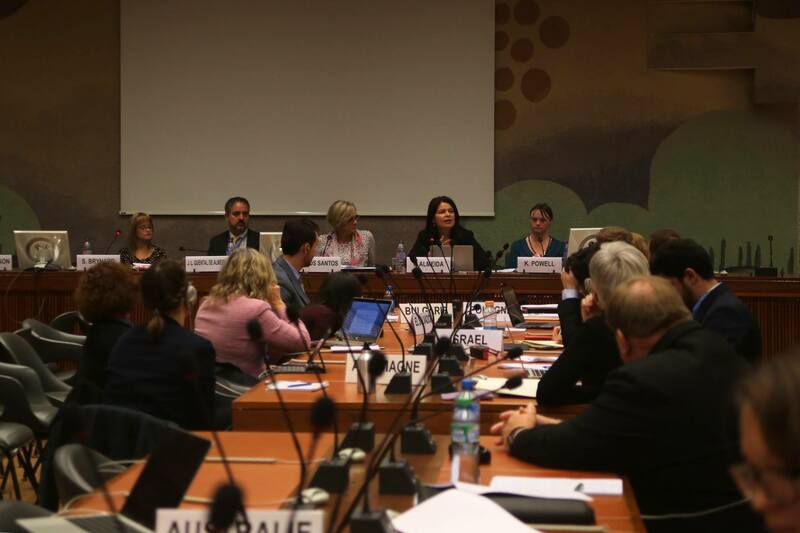 Participants at the event #MyVoiceMyCommunity in the UN Geneva Palais des Nations. 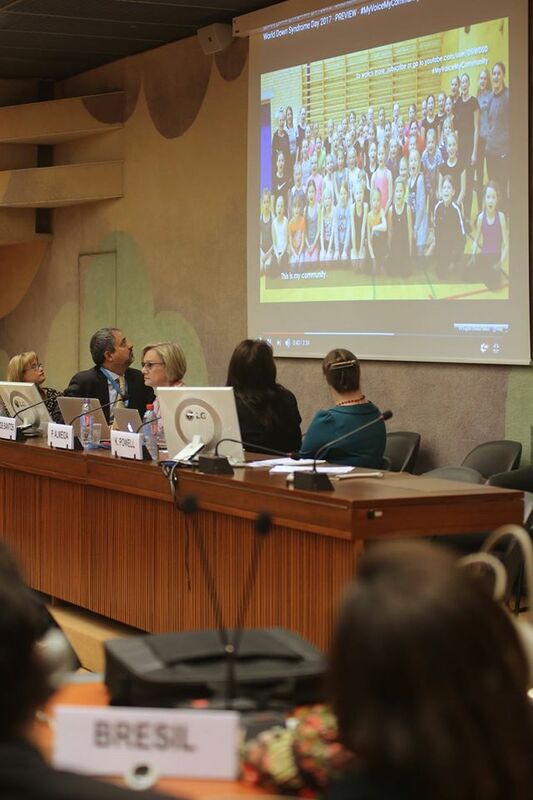 Last week, the first World Down Syndrome Day celebrations were held at the UN, in Geneva. 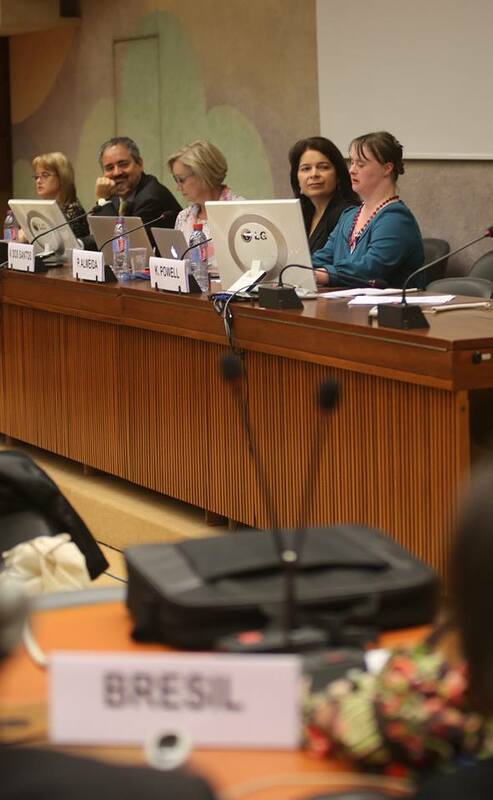 With the theme “My Voice, My Community,” the events, organized by Down Syndrome International, the International Disability Alliance and co-sponsored by the Permanent Missions of Brazil, Poland, Israel and the United Kingdom to the UN in Geneva, brought together people with Down Syndrome from around the world, their representatives, members of the UN Committee on the Rights of Persons with Disabilities, and countries representatives. 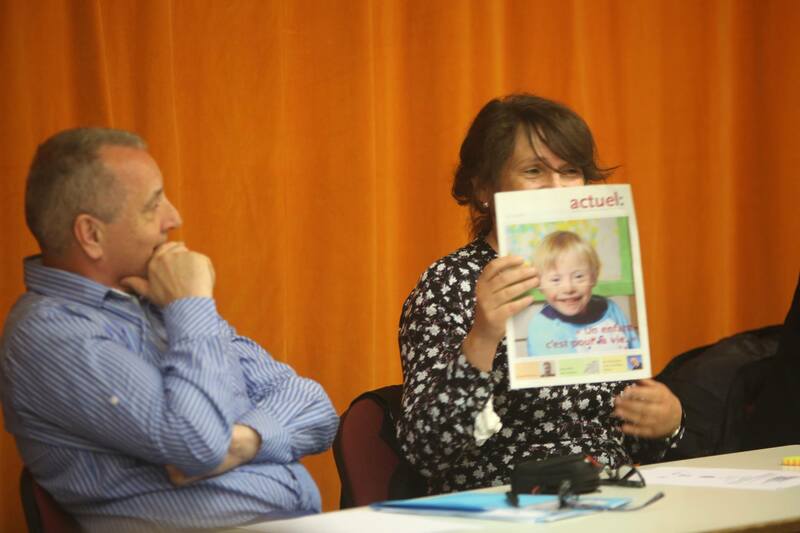 The events gave people with Down syndrome the opportunity to express their thoughts and needs to high international authorities. World Down Syndrome Day, 21/3, was created by Down Syndrome International in 2006. The date was chosen because it represents the 3 chromosomes 21 that people with Down syndrome have. 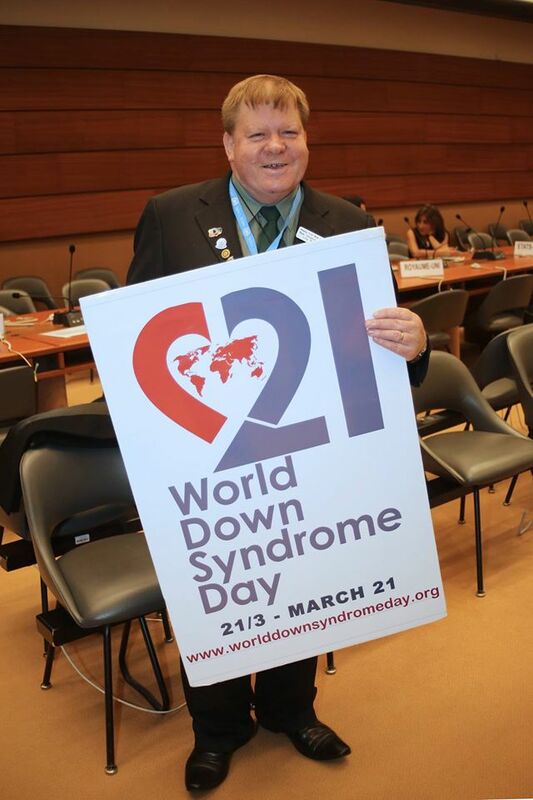 Brazil presented the resolution to include World Down Syndrome Day in the UN official calendar in 2011, calling the 193 UN Nations to observe the date. Foram realizados na última semana, os primeiros eventos comemorativos do Dia Internacional da Síndrome de Down na ONU, em Genebra. 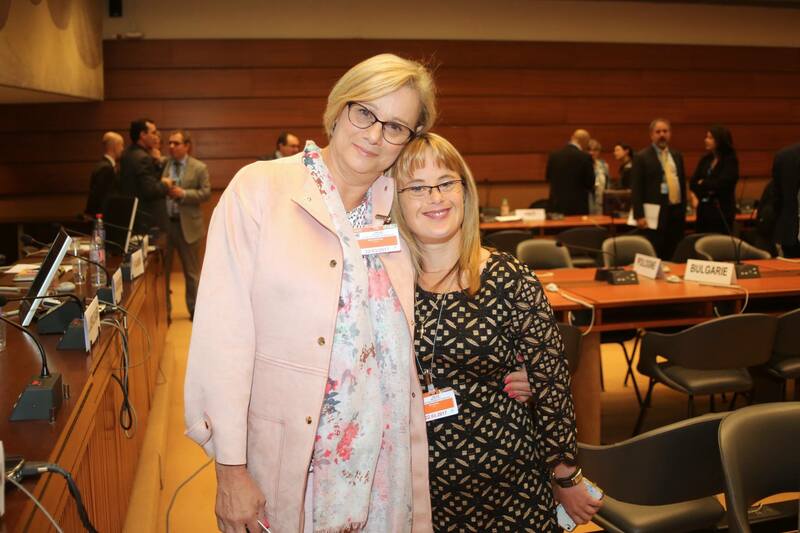 Com o tema “Minha Voz, Minha Comunidade”, os eventos, organizados pela Down Syndrome International (DSi), a International Disability Alliance (IDA) e co-patrocinados pelas Missões Permanente do Brasil, Polônia, Israel e Reino Unido junto à ONU, em Genebra, reuniram pessoas com síndrome de Down de várias partes do mundo, seus representantes, membros do Comitê da ONU dos Direitos das Pessoas com Deficiência e representantes de países. As reuniões deram às pessoas com síndrome de Down oportunidade de expressar suas ideias e necessidades a altas autoridades internacionais. O Dia Internacional da Síndrome de Down, 21/3, foi instituído pela Down Syndrome International em 2006. A data foi escolhida por representar os 3 cromossomos 21 que as pessoas com síndrome de Down possuem. O Brasil apresentou a resolução para que o Dia Internacional da Síndrome de Down fosse incluído no calendário oficial da ONU em 2011, convocando as 193 nações que compõem a ONU a observar a data. 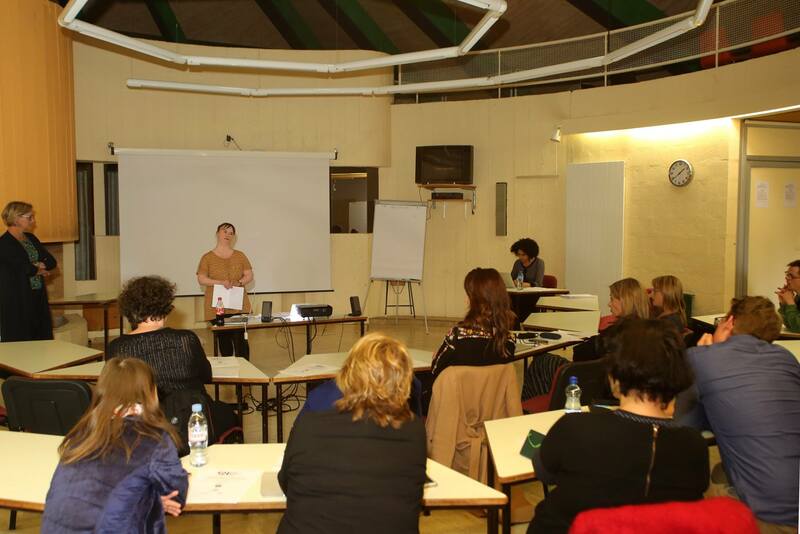 On the 21st of March, a workshop was held for self-advocates to prepare for discussions with the authorities, moderated by the President of Down Syndrome International, Vanessa dos Santos. No dia 21 de março foi realizado um workshop para os auto-defensores se prepararem para as discussões com as autoridades, moderado pela Presidente da Down Syndrome International, Vanessa dos Santos. Cheri Brynard, Down Syndrome International Ambassador, from South Africa. Kate Powell, from Down Syndrome Association UK addresses the meeting. 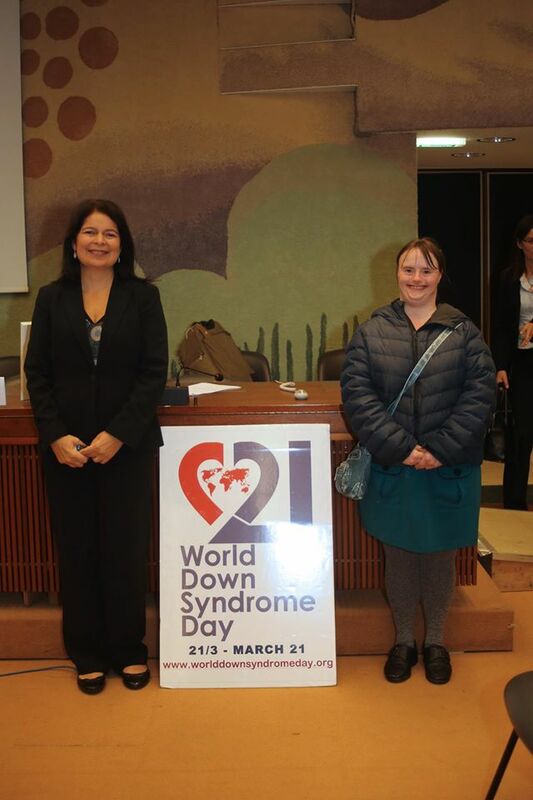 Patricia Almeida, member of the Board of Trustees, Down Syndrome International. 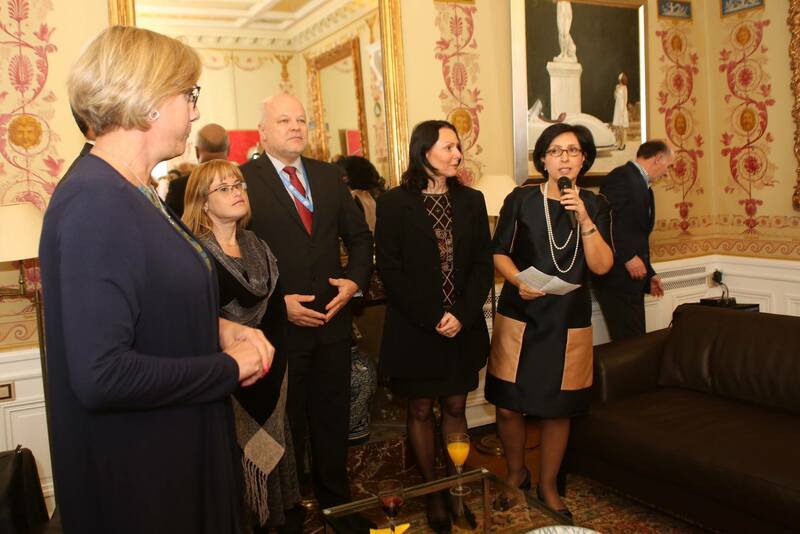 In the evening, the Representative of the Permanent Mission of Brazil to the UN, Ambassador Maria Nazareth Farani Azevêdo, offered a reception at the official residence to celebrate the date. Participants of the event, Ambassadors Representatives from countries like Poland, Israel, Germany, Fiji, Moçambique and Australia and members of the UN Committee on the Rights of Persons with Disabilities, that was holding the first meeting of 2017, joined the celebration. À noite, a Representante da Missão Permanente do Brasil junto à ONU, Embaixadora Maria Nazareth Farani Azevêdo, ofereceu uma recepção em celebração à data na residência oficial. 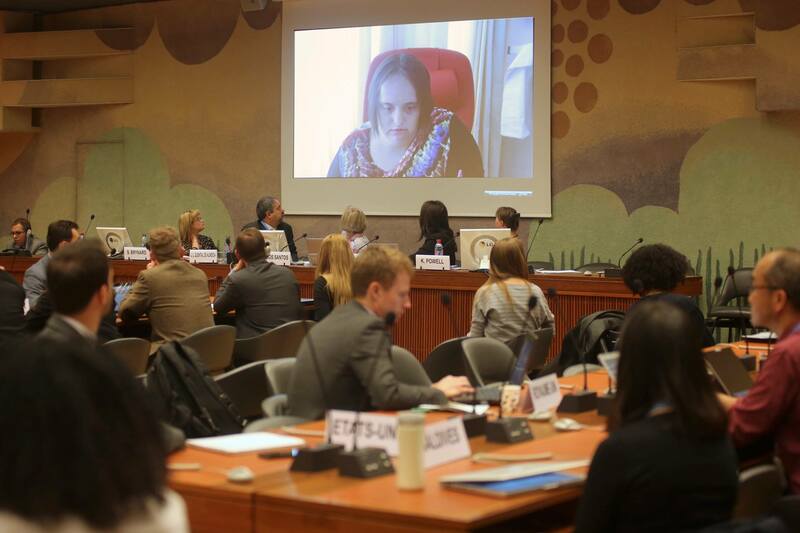 Compareceram ao evento, Embaixadores Representantes de países na ONU, como Polônia, Israel, Alemanha, Fiji, Moçambique e Australia, membros do Conselho da ONU dos Direitos das Pessoas com Deficiência e participantes com síndrome de Down e seus representantes. 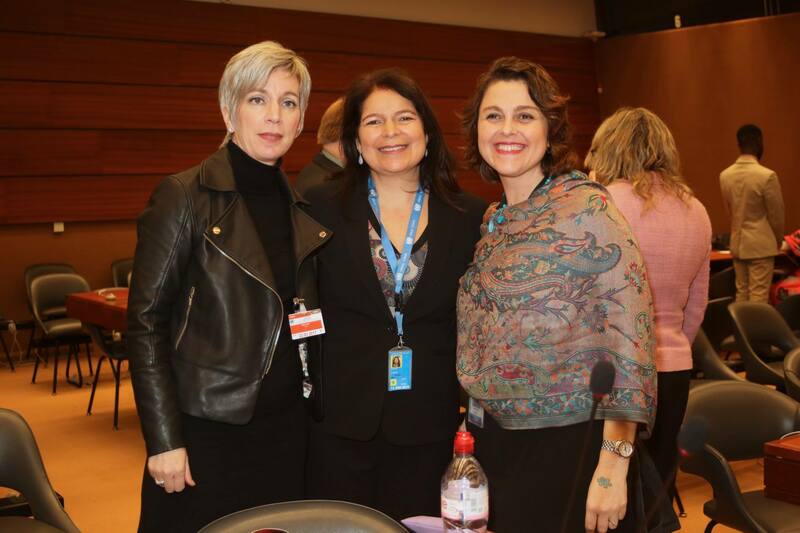 Hostess of the reception, Ambassador Maria Nazareth Farani Azevêdo, Representative of the Permanent Mission of Brazil to the United Nations Office and other international organizations in Geneva and Teresa Degener, Chair of the UN Committee on the Rights of Persons with Disabilities. Amanda Almeida at the reception. 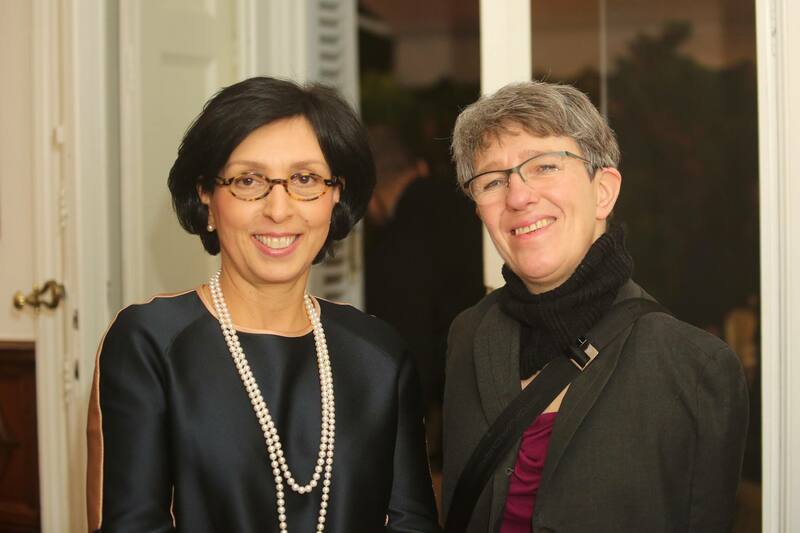 Ambassador Maria Nazareth Farani Azevêdo and Ambassador Nazhat Shameem Khan, Mission of Fiji to the UN Geneva. 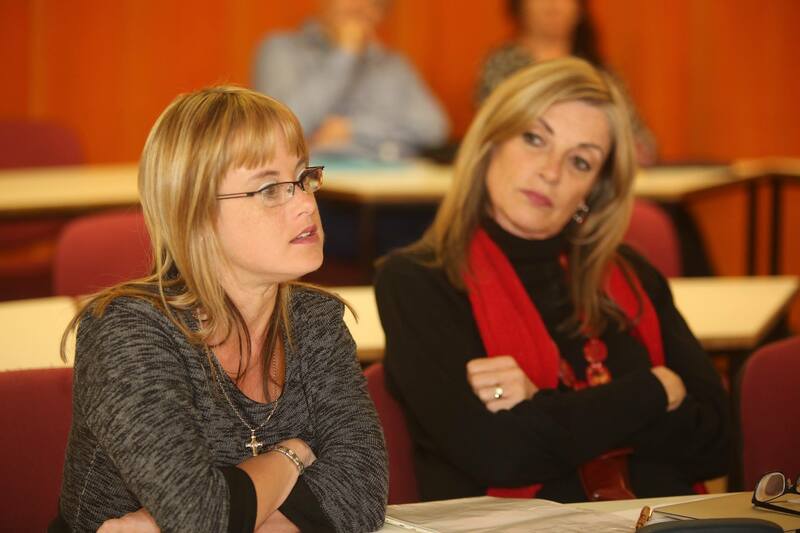 Cindy Johns, from People First New Zeland, Kate Powell from Down Syndrome Association UK and Robert Martin. 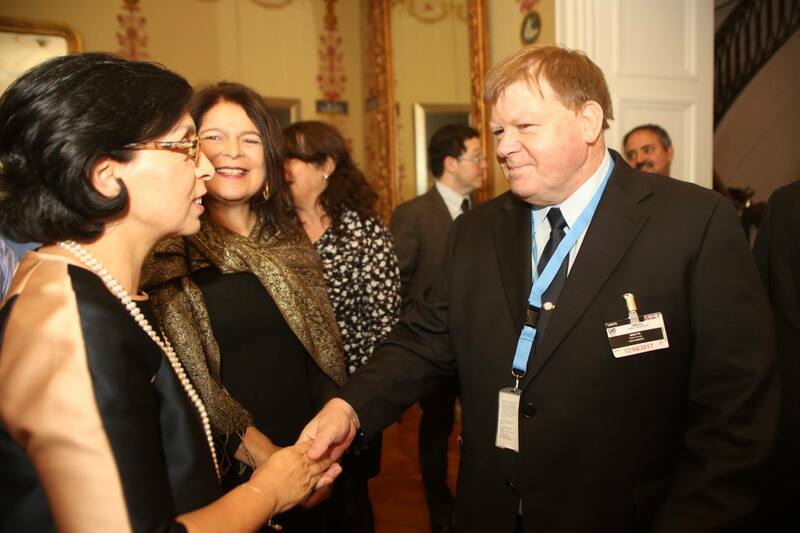 Colin Allen, Chair of the International Disability Alliance (IDA), Vanessa dos Santos. Ambassador Maria Nazareth Farani Azevêdo and Ambassador Pedro Afonso Comissário, Permanent Mission of Mozambique. Ambassador Maria Nazareth Farani Azevêdo, Ana Lucia Arellanos, Presidente de RIADIS, Latin American Network of Non-Governmental Organizations of Persons With Disabilities and their Families and Vanessa dos Santos, President of Down Syndrome International and Ambassador of Germany, Antje Leendertse. 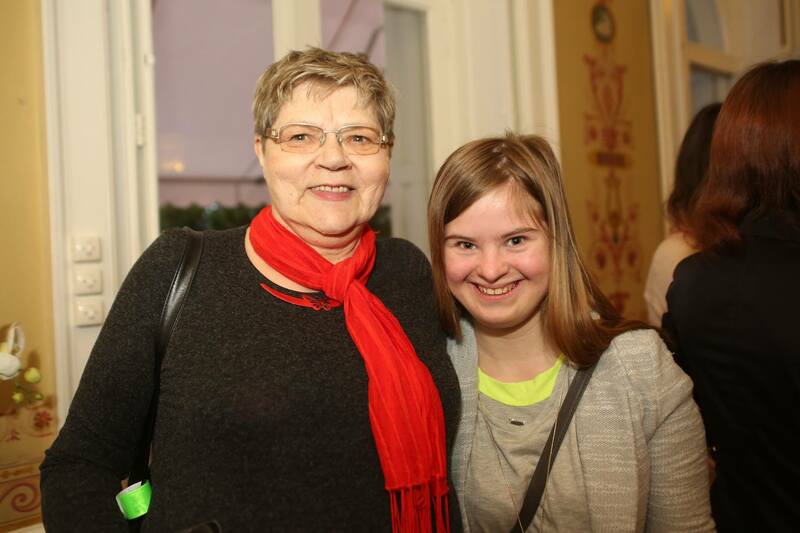 Kate Powell, from Down Syndrome Association UK and her support person at the reception. Ambassador Maria Nazareth Farani Azevêdo, Patricia Almeida, member of the Board of Trustees of Down Syndrome International, Ana Lucia Arellanos, Presidente de RIADIS, Latin American Network of Non-Governmental Organizations of Persons With Disabilities and their Families and Vanessa dos Santos, President of Down Syndrome International. 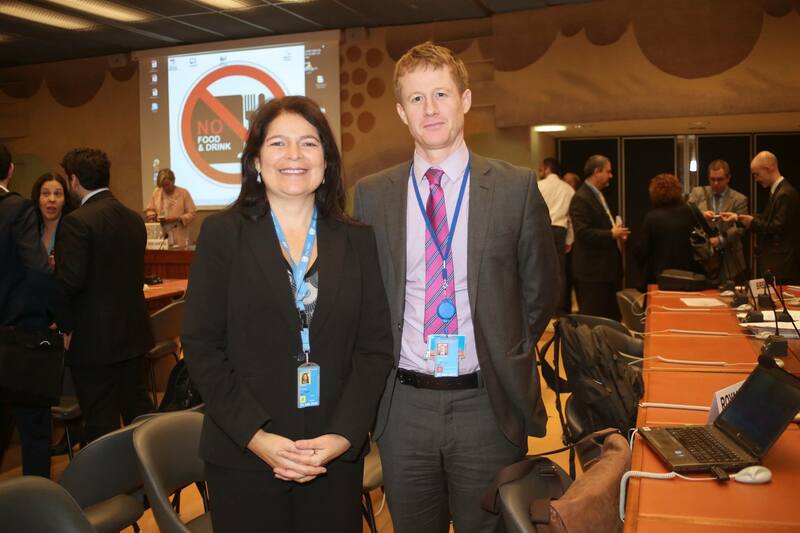 Jonas Huskus and Danlami Basharu members of the UN Committee on the Rights of Persons with Disabilities. Permanent Representatives from Brazil, Ambassador Maria Nazareth Farani Azevêdo, Israel, Ambassador Aviva Raz Shechter and Poland, Ambassador Piotr Stachanczyk, Sheri Brynard and Vanessa dos Santos, President of Down Syndrome International. Colin Allen, Chair of the International Disability Alliance (IDA), Vanessa dos Santos and João Lucas Quental de Almeida, Minister of the Brazilian Mission. Colin Allen, Chair of the International Disability Alliance (IDA). 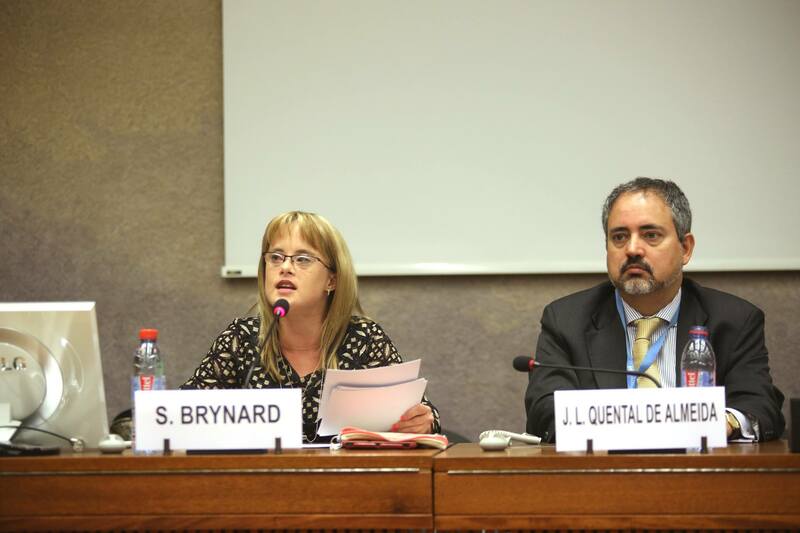 Teresa Degener, Chair of the UN Committee on the Rights of Persons with Disabilities, Cheri Brynard and Carlos Alberto Parra Dussan, member of the Committee. Jorge Araya, Secretary of the Committee on the Rights of Persons with Disabilities and Ana Lucia Arellanos, Presidente de RIADIS, Latin American Network of Non-Governmental Organizations of Persons With Disabilities and their Families. Artist Leca Araujo presents her work “Maria Amanda”, in honour of World Down Syndrome Day. 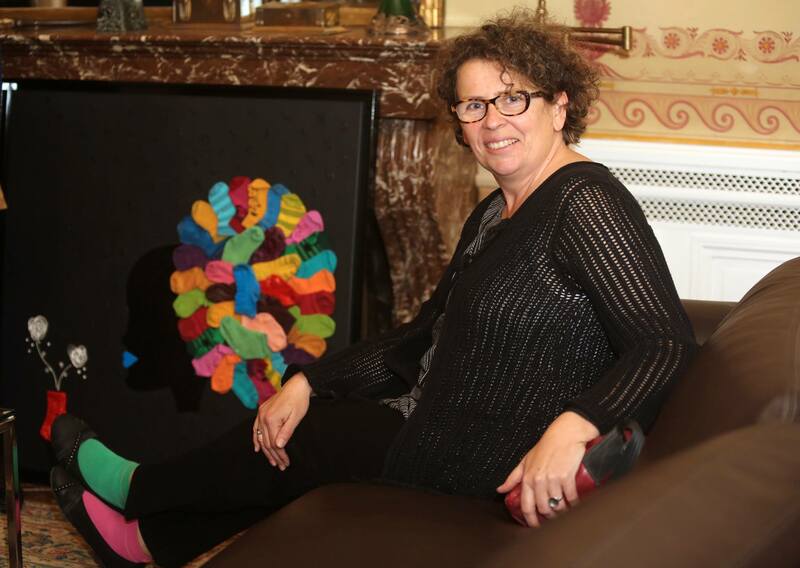 The work was inspired in the campaigh #LotsOfSocks, that highlights the beauty of humane diversity. Patricia Almeida, Amanda Almeida, Ambassador Maria Nazareth Farani Azevêdo and Minister João Lucas Quental de Almeida. 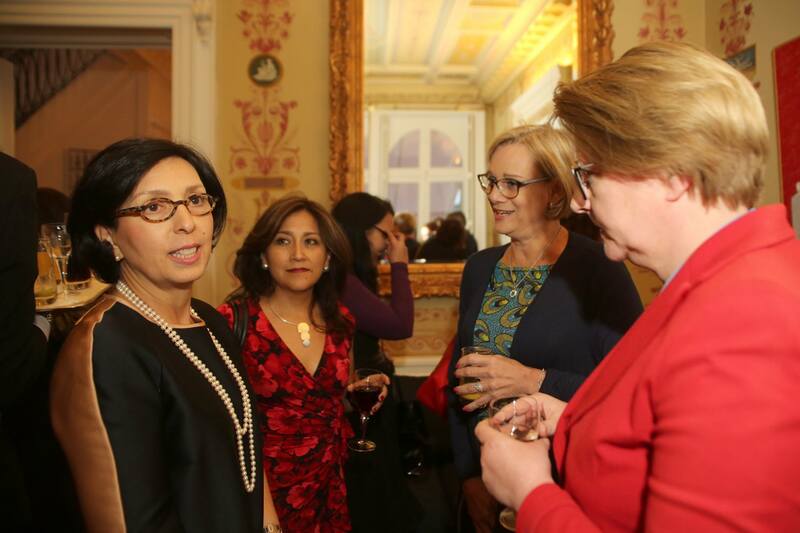 Patricia Almeida with participants at the reception. 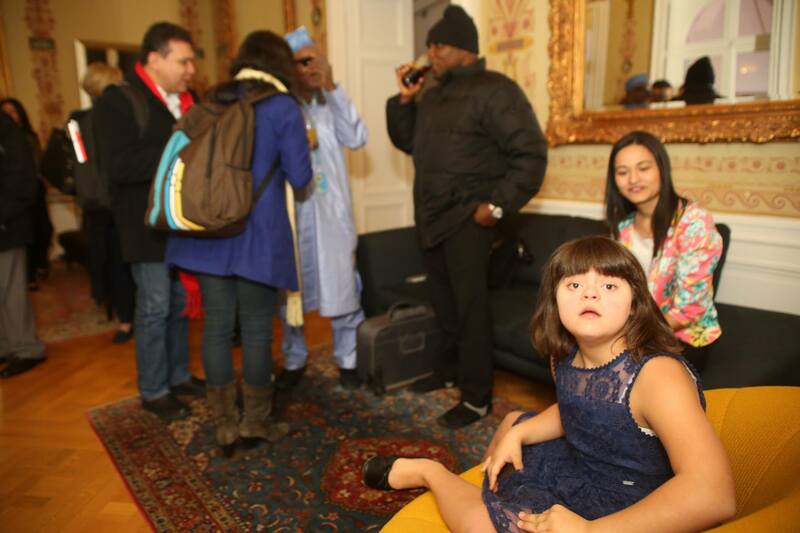 Vanessa dos Santos, President of Down Syndrome International (left) with participants in the reception. 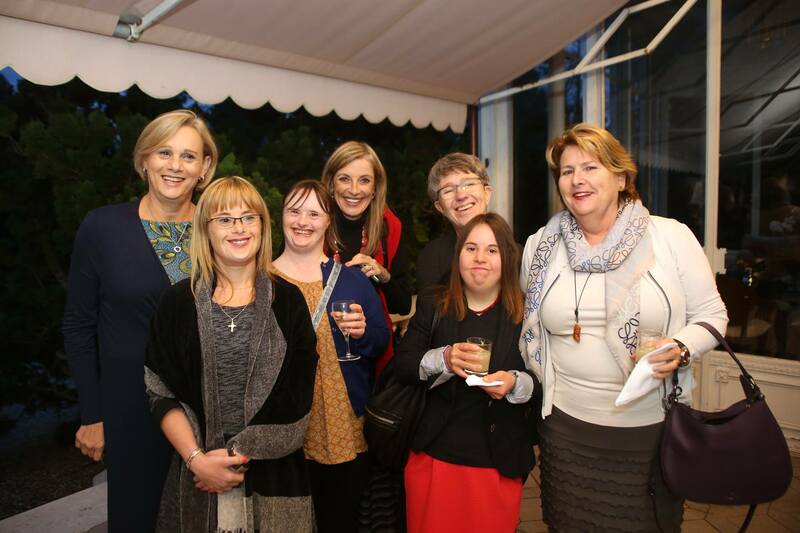 Vanessa dos Santos, President of Down Syndrome International (right) with participants in the reception. 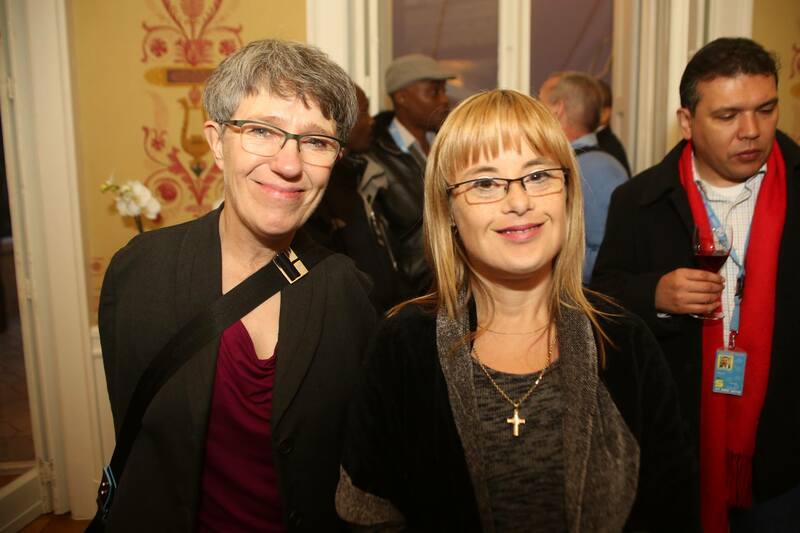 Teresa Degener, Chair of the UN Committee on the Rights of Persons with Disabilities, with participants at the reception. 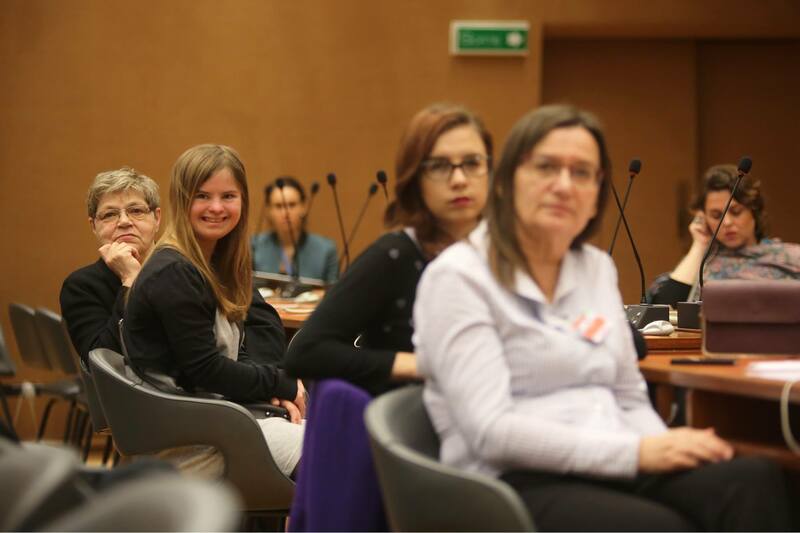 On the 22th of March, self-advocates participated in an interactive dialogue with representatives of countries at the Palais des Nations, headquarters of the Human Rights Council. 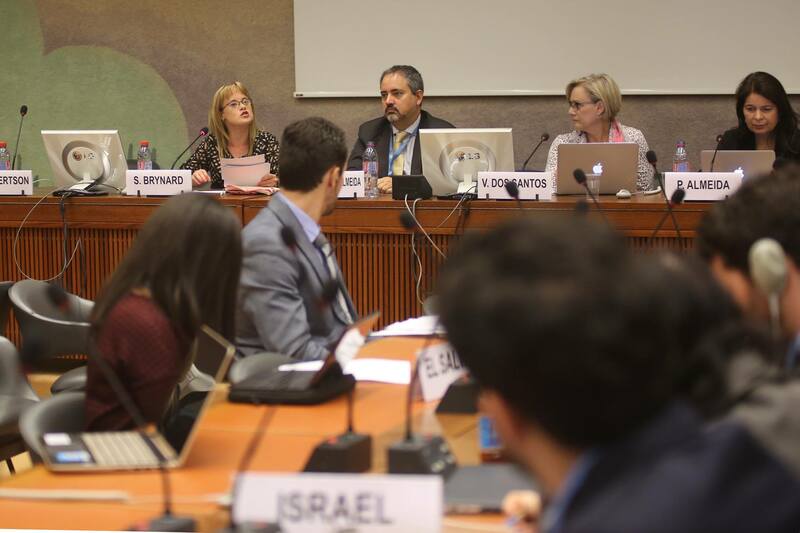 The event was co-sponsored by Brazil, Poland, Israel and the United Kingdom and attended by representatives from the Missions of Germany, El Salvador, Bulgaria, Poland, Israel, Brazil and the UK, UN agencies and human rights organizations, among others. Self-advocates Sheri Brynard, from South Africa and Kate Powell, from the UK gave presentations. 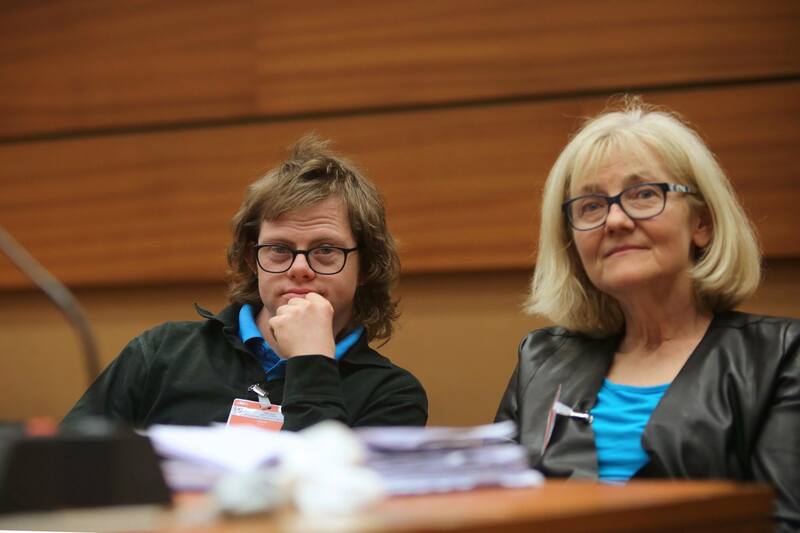 During the debate, country representatives asked how to form self-advocates and promote greater participation of people with Down syndrome in public policy-making. Strategies to achieve greater involvement of people with Down syndrome in the community and decision making processes were discussed. 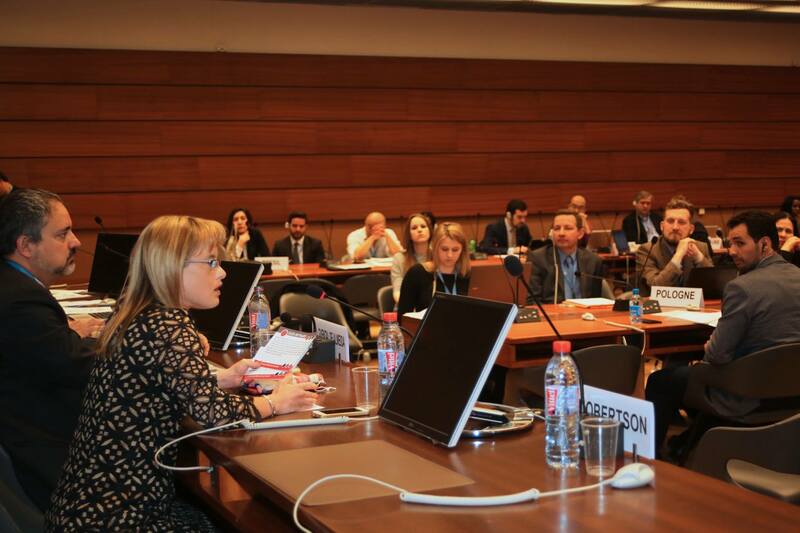 Israeli Ambassador to the UN, Aviva Raz Shechter, reported on the experience of the Israeli Parliament, which receives twenty people with disabilities each year to meet and participate in the legislative work. 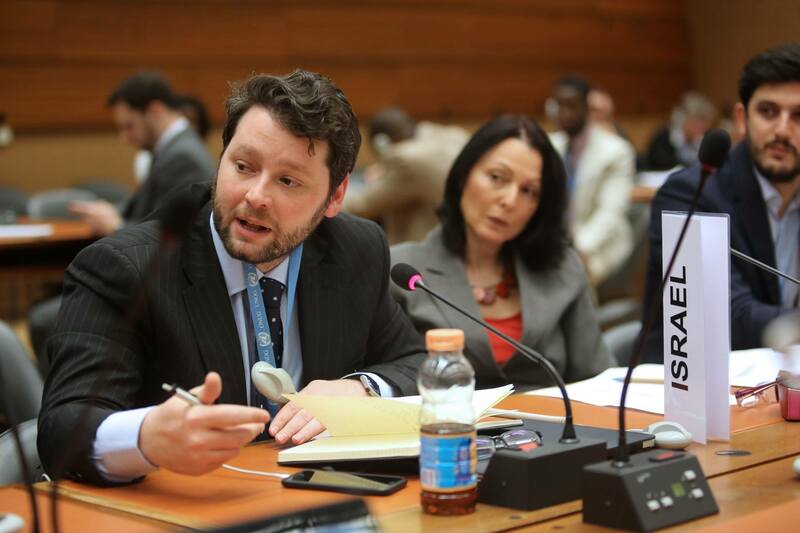 Member of the UN Committee on the Rights of Persons with Disabilities, Robert Martin, from New Zealand, spoke about the importance of the role of people with intellectual disabilities in bodies such as the Committee and the adaptations needed to participate on an equal basis with others. He share that some of his best friends had Down syndrome. Martin is the first person with an intellectual disability to join the committee and has a support person so that he can participate in the committee on equal terms with the others. 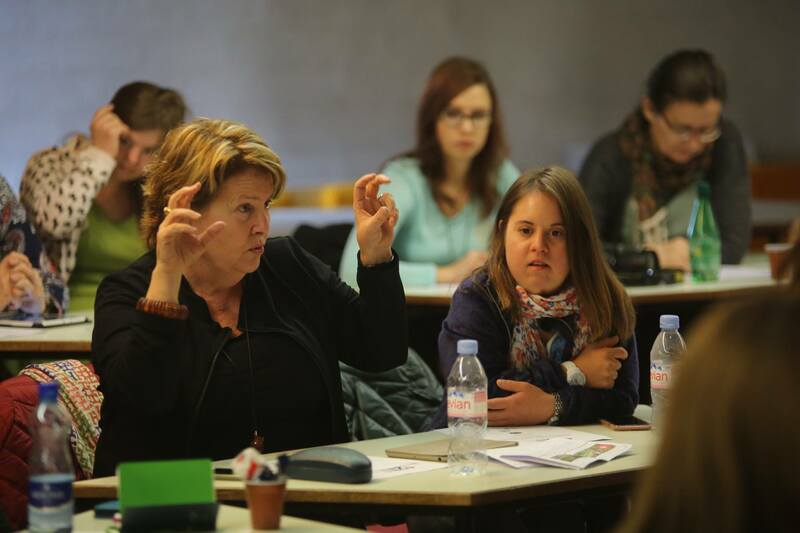 Participants raised the issue of a lack of inclusive education at schools in Switzerland. 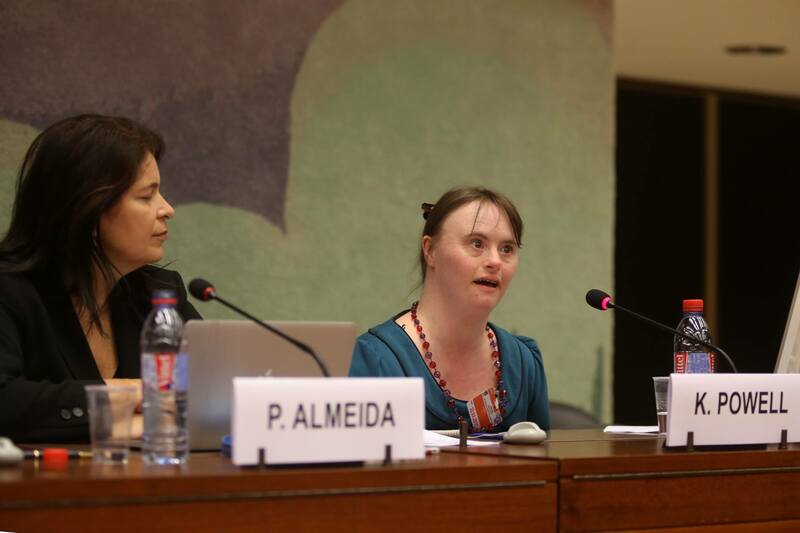 Patricia Almeida, from Down Syndrome International, said that parents should advocate for the Convention on the Rights of Persons with Disabilities, adopted by Switzerland, be implemented in the country and quoted the Comment 4, issued by the Committee on inclusive education. The meeting was considered very productive, and delegates said they wished more events like these are organized at the UN. No dia 22, auto-defensores participaram de um diálogo interativo com representantes dos países no Palais des Nations, sede do Conselho dos Direitos Humanos. 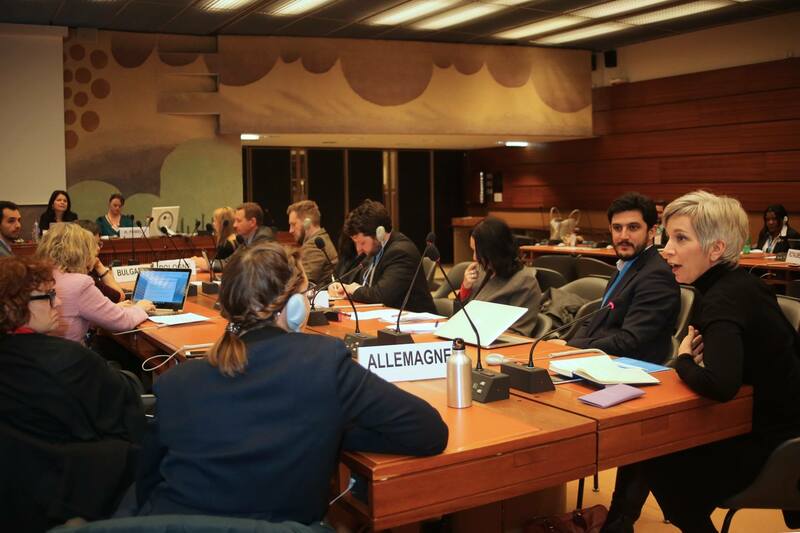 O evento foi co-patrocinado por Brasil, Polônia, Israel e Reino Unido e compareceram representantes das missões da Alemanha, El Salvador, Bulgaria, Polônia, Israel, Brasil, Reino Unido, agências da ONU e organizações de direitos humanos, entre outros. As auto-defensoras Sheri Brynard, da África do Sul, e Kate Powell, do Reino Unido, fizeram apresentações. Durante o debate, representantes dos países perguntaram como formar auto-defensores e promover maior participação de pessoas com síndrome de Down na elaboração de políticas públicas. Foram discutidas estratégias para maior envolvimento de pessoas com síndrome de Down na comunidade e nas tomadas de decisão. A Embaixadora de Israel junto à ONU, Aviva Raz Shechter, relatou a experiência do parlamento israelense, que recebe vinte pessoas com deficiência a cada ano para que conheçam e participem dos trabalhos legislativos. O membro do comitê da ONU dos Direitos das Pessoas com Deficiência, Robert Martin, da Nova Zelândia, falou sobre a importância do protagonismo de pessoas com deficiência intelectual em órgãos como o Comitê e das adaptações necessárias à participação em igualdade de condições com os demais. Ele contou que alguns de seus melhores amigos tinham síndrome de Down. Martin é a primeira pessoa com deficiência intelectual a integrar o comitê e conta com uma pessoa de apoio para que possa participar do comitê em igualdade de condições com os demais. Participantes levantaram a questão da falta de inclusão escolar para alunos com síndrome de Down nas escolas da Suíça. Patricia Almeida, da Down Syndrome International, disse que os pais tinham que lutar para que a Convenção sobre os Dieitos das Pessoas com Deficiência, que foi adotada pela Suíça, fosse implementada, e citou o Comentário número 4, sobre educação inclusiva, elaborado pelo Comitê. A reunião foi considerada muito produtiva e os delegados disseram que esperavam que mais eventos como aquele fossem organizados na ONU. 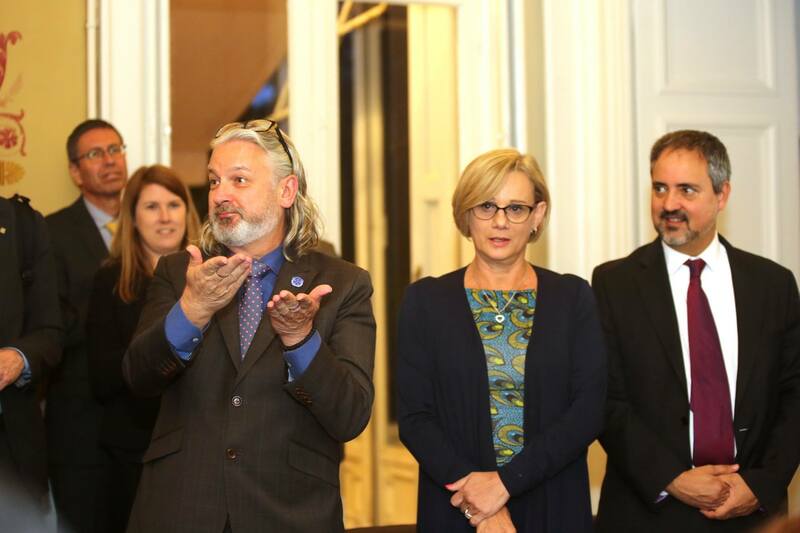 Sheri Brynard and Minister João Lucas Quental de Almeida, from the Brazilian Mission. Shona Robertson participating via video. Laura Mulcahi, from Moi Aussi. Patricia Almeida and Kate Powell. 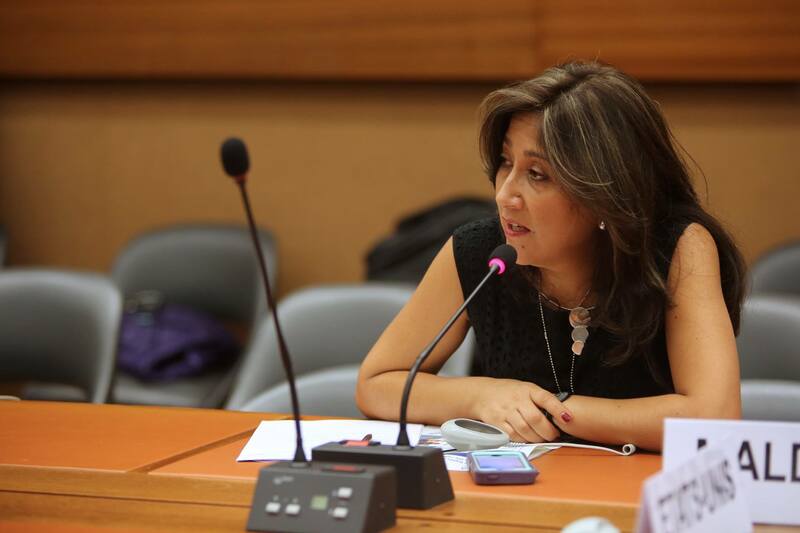 Ana Lucia Arellanos, Presidente de RIADIS, Latin American Network of Non-Governmental Organizations of Persons With Disabilities and their Families. 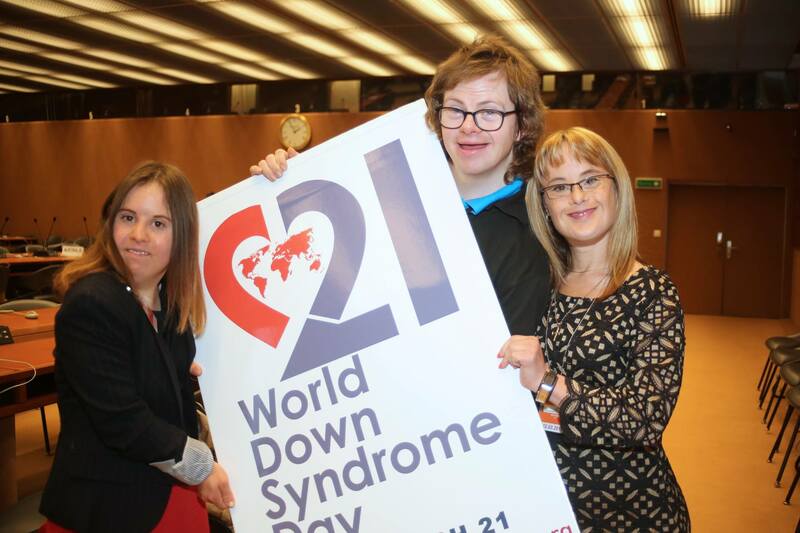 World Video Event from Down Syndrome International – #MyVoiceMyCommunity . 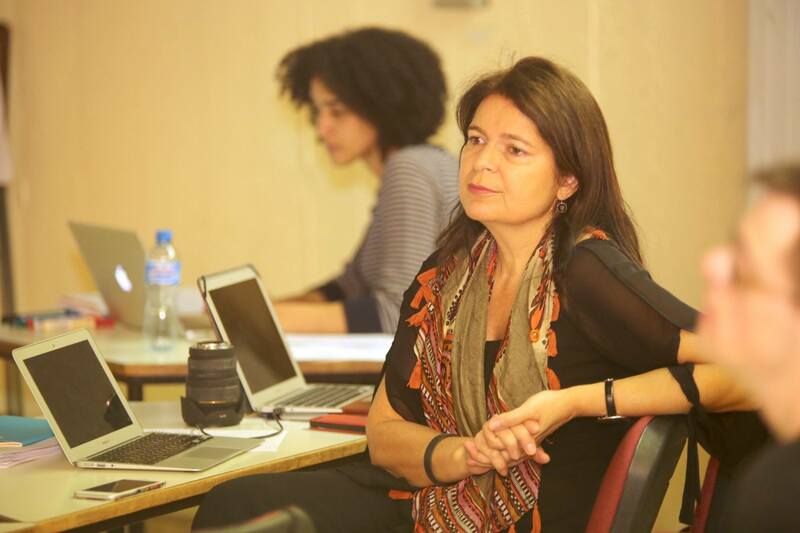 Laura Mulcahi, from Moi Aussi, Patricia Almeida and Isabela Pimentel. 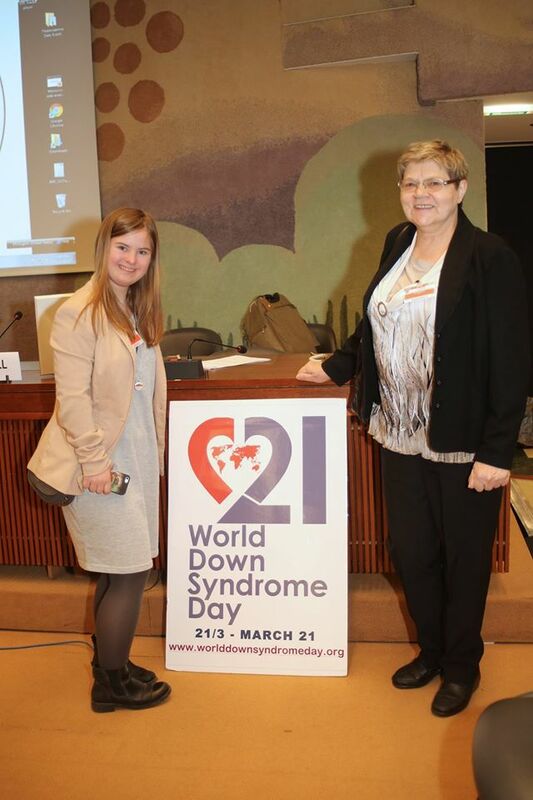 Vanessa dos Santos, President of Down Syndrome International and Cheri Brynard. 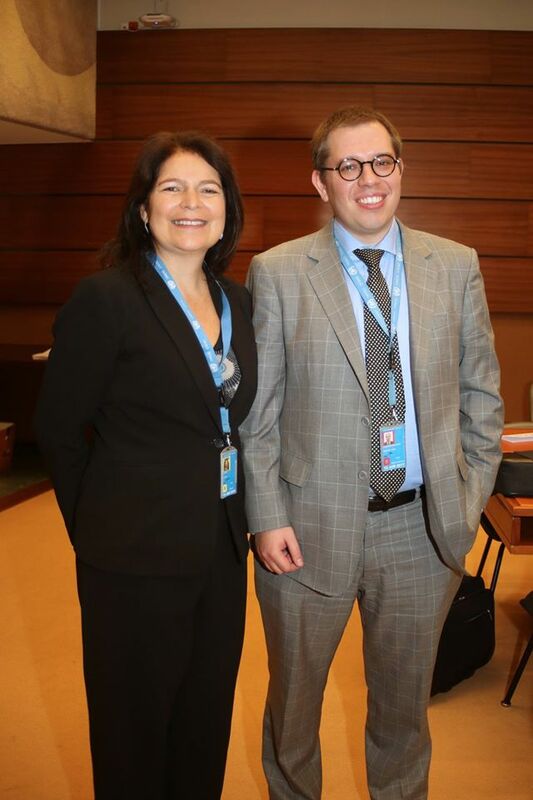 Patricia Almeida and Ezequiel Gerd Chamorro Petersen, diplomat from the Brazilian Mission.